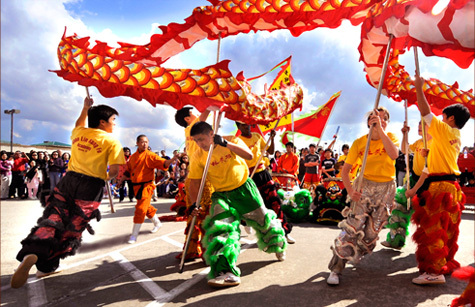 More dance than martial art, Lion Dance embodies a martial spirit and accompanies martial arts demonstrations given by most contemporary Chinese martial arts schools. Skilled performers go on to represent our school at Lion Dance performances. Our lion dancers form an important part of the Demo Performance Team we send to various locations to entertain and demonstrate authentic Chinese culture. Check out our Class Schedule for Lion Dance Class times and to check out our events page to see our Lion Dance Team in action in one of our many ongoing Demonstration Team performances, featuring drum, cymbals, costumes and fun! Lion Dance Team members have many opportunities to shine in our public demonstrations throughout the year, some of which are performed in top venues across the city and state. 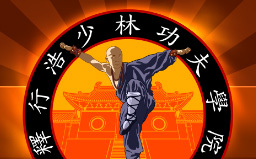 Many perform in both the Kung Fu and Lion Dance portions of the show. By working together constructively to create a seamless performance, students learn respect for others and interpersonal skills that will benefit them for a lifetime in their family lives, school, and the business world. Working together helps to build character and self-confidence and it teaches students the importance of clear and open dialogue with those around us. 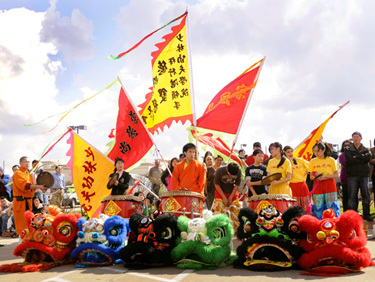 Lion Dance class also offers students the opportunity to learn about Chinese traditional culture first-hand, as well as teaching them the value of hard work, discipline, and teamwork.